Artificial Intelligence is not a nouveau concept but one that took root around 1956, although it has proudly landed some giant leaps in that period: beating the best human at the popular US gameshow Jeopardy, the best human at chess, and just recently bested the greatest human champion at the highly intricate strategy game “Go”, to the awe and cry of many. Facebook’s DeepFace is touted to identify faces with a 97 percent accuracy, while Google’s voice recognition technology now flaunts a success rate of 98 percent! If that didn’t leave you in a conundrum, IBM’s Watson, which employs AI to perform its question-answering function accurately, is almost 2,400 percent “smarter” today than its jeopardy victory five years back. Before we have even typed out our queries in full, Google knows what we were searching for. Uber’s self-driving truck drove two thousand casks of beer over 120 miles without human assistance. Most of us naturally converse with assistants, like Alexa and Siri, waiting in our kitchens and our pockets. The popular app Noom is turning to AI to sift through the user’s exercise and food logs and suggest changes in fitness regimens and personalized diets to cater to each individual dieter. The relationship between machines and their masters is indubitably changing, and businesses and industries around the globe are jumping on the bandwagon to incorporate Artificial Intelligence in every aspect of their customer offering. So much so, that it is even paving the way to improved brand experiences. Is Design Safe From The Bout Of A Multi-Billion Dollar Industry? Artificial intelligence is a mammoth $15 billion dollar industry, projected to grow exponentially in the years to come. With more than 2,600 companies churning out intelligent technology in some way or another, the value of AI is predicted to soar to more than a whopping $70 billion by 2020. For anyone still doubting the existence and deep proliferation of AI, a report by New York Times confirmed the plans of Carnegie Mellon University to create a research center focused on establishing and cultivating the ethics of artificial intelligence. CNBC has commenced analyzing promising AI stocks and Harvard Business Review has been observed laying the groundwork for what AI could mean for management. With the wave of unanimous fear that AI is here to take over human jobs, designers had been relatively optimistic that they were safe from the bout of AI, since good design entails social intelligence and creativity, and a deep understating of human emotions and empathy, lacking in a machine. However, as the recent turn of events has it, designers do have some cause to fear! 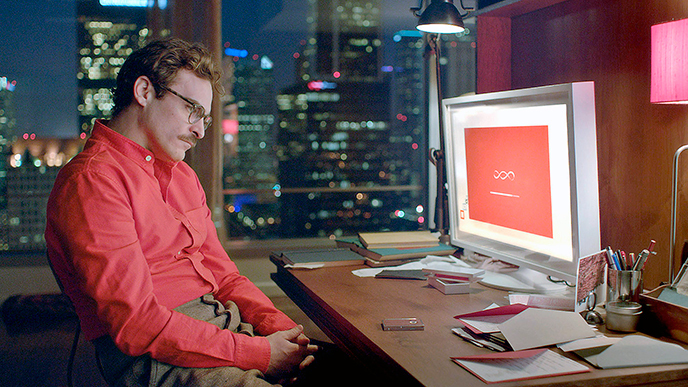 Why Artificial Intelligent Is A Powerful Design Tool? Instead of articulating their utmost loathing at the recent turn of developments, designers would fare better by embracing Artificial Intelligence and working in collaboration with it. All the best designers know that a profound study of human behavior is indispensable to making the best choices for their clients. However, as history has proven, designers are only so capable as to make the decisions that were good for the people some of the time, instead of decisions that were best for individuals all the time. This is where Artificial intelligence comes in to play. AI facilitates designers in anticipating, and catering to the needs of individual users. Think about intuitive educational robots that monitor a child’s tutoring plan based on his frustration levels and attention spans, and bathroom mirrors which are designed to fine-tune a room’s lighting depending on stress levels. With AI, services and products aren’t just performing rudimentary functions anymore; they’re emotionally aware, allowing designers to create the most suitable and personalized experience for each user. Good luck to the robots when it comes to art, but design is different since it’s meant for clients with specific wants and briefs. 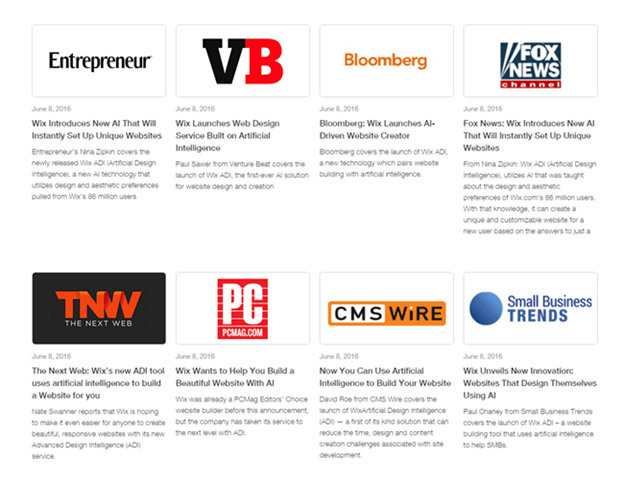 This is what the first artificially intelligent website-design tool, Grid.io, operates on! All a user has to do is upload photographs and content that reflect the feeling and mood of their brand and The Grid automatically matches them to their website design. The Grid aspires to comprehend your website design needs through an array of top-notch algorithms and the results are encouraging. Tell The Grid you want testimonials, blog, or an Ecommerce store, and it puts together a unique and highly niche website, flaunting the color palettes and fonts pertaining to the photographs you uploaded. The Grid is programmed to make decisions for you and keeps improving the design as you throw more stuff at it. This autonomous futuristic tool has completely taken the decision making and prerequisite skills out of website design, and so far more than 20,000 people have pre-paid to use The Grid even before its launch. The Grid aims to empower designers by taking mundane technical tasks off their hands, leaving them free to focus on the strategic and creative. Definitely a persuasive and attractive proposition. When you design your website with The Grid, text can be layered over an image, colors can be tweaked to match the photos you select, and state-of-the-art face detection ensures that text never interferes with the subject of an image. Since The Grid generates aesthetically pleasing and responsive sites, they adapt to any web browser size or across myriad mobile devices. These websites are also optimized for specific needs, for instance driving the maximum amount of product sales. Grid built sites are A/B tested constantly, and improved accordingly to boost performance. Hosting is handled autonomously by The Grid as well. If you consider a scenario in the near future where autonomous tools like The Grid are leveraged by design studios. Based on their strategic goals, their website design builds would be autonomous, leaving only the fine-tuning of interaction and UI to the developers. Would this level of automation focus the creativity, conversation, and energy of the designer on the things that contribute towards making great work great? Most people are of the belief that AI can aid the design industry in clarifying the boundary between production and creative work. If a design tool is programmed to resize an advert into 50 formats, it frees up the designer to focus on the feel and appearance of the next campaign. This serves to benefit both the designer and the representing company. For instance, the developer and designer could work towards defining the logic that considers user data, content, and context. Then, a platform could be capitalized on to compile a design using patterns and principles. This would permit designers to perfect the minutest of details for specific usage scenarios without coding and sketching myriad screen states by hand. 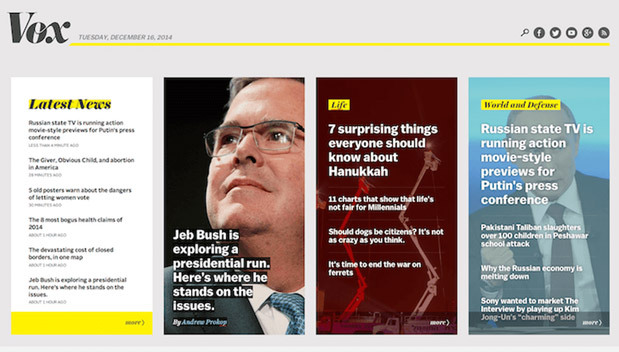 Similarly, Vox Media utilized similar notions to create a homepage generator. Combining various examples from a library, the algorithm is programmed to search for every possible valid and usable layout. It examines and rates each layout based on certain traits. Finally, the generator selects the best possible layout, mainly one touting the highest score. As confirmed by recommendation engines such as Relap.io, picking the best links by hand would prove to be much harder. One can safely say that it’s an exciting time to be a designer, when technology is presented on a silver tray to be exploited. When you embrace the wonders of AI, instead of fearing it, it will give you more freedom to create and tackle interesting work. 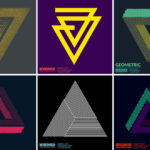 Instead of laboring to build ever cleverer bots like The Grid, startups like Wix are instead working on mining treasure troves of user data to train algorithms to be able to provide sound design advice to novices and designers alike for business websites. This popular website building platform is capitalizing on AI as part of the future of design. Far from their perceived intention of aiming to replace great designers, they aspire to turn everyone else into a pretty good one. 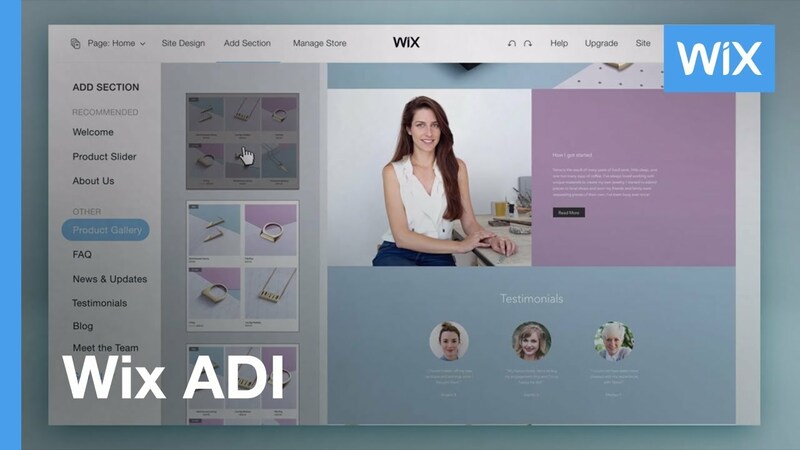 Wix, Tel-Aviv based website builder, was determined to incorporate that intelligence into a unique product that could take personalized design decisions in seconds. 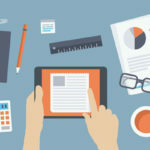 Developers mined data from the whopping 85 million users of Wix, in addition to some human coaching, to inculcate the tool with some core principles about what design possibilities and combinations worked best together. To employ this Artificial Design Intelligence tool of Wix, users are required to answer five questions pertaining to the nature of their business and their individual preferences and ideas. 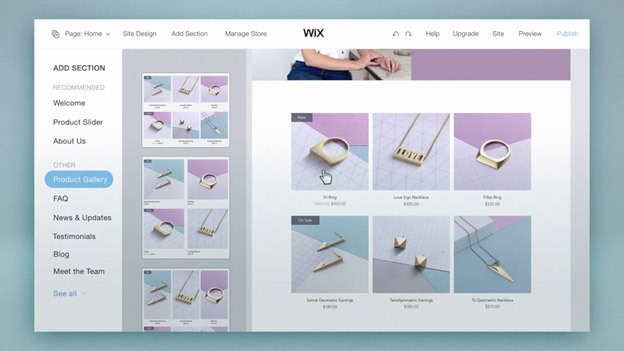 After adding a URL from their existing site or uploading content, Wix generates a website custom-made to the business’s category with scheduling, pricing, and other common pages incorporating user data. 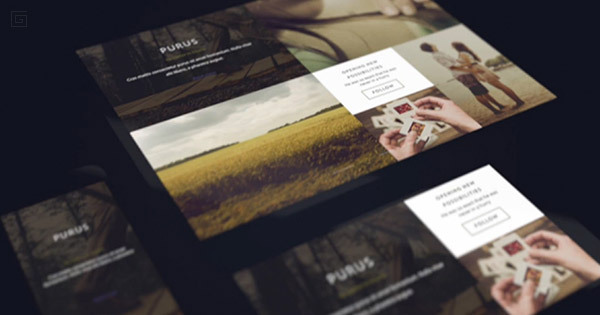 Writers at Wix have also added template copy, allowing users to edit a completed site. If the user is not satisfied with the generated end-product, coding and manual tweaking can always be relied upon to get their website looking just the way they wanted. This provides a solution to the somewhat static system of The Grid, while still helping the users created websites hands-free! Find Photoshop A Tough Nut To Crack? Artificial Intelligence Can Help! What Amazon’s Alexa does for shopping, or Google search accomplishes for finding websites, Adobe wants its Sensei to do for designing products, editing photos, and making films! Sensei’s features encompass the complete host of Adobe’s software suite, including PDF readers and marketing databases. Adobe Sensei harnesses trillions of data assets and content, from customer clicks to high resolution images, all within a machine learning framework and a unified AI. From finely targeting important audience segments, to comprehending the sentiment and meaning of documents, and matching images across millions of assets, Adobe Sensei does it all. Sensei has the amazing ability to point users to licensable images that bear a striking resemble to the ones they wanted but didn’t have the permission to use. Sensei applies the same principles to fonts, scrutinizing handwriting to recommend a similar looking typeface. Sensei can identify eyes and lips in a photograph during editing and lets users tweak facial expressions, such as widening a grin, without wreaking havoc or overly distorting the rest of the face. Using “Bart Simpson’s” character as an example, Adobe demonstrated Sensei’s ability to manipulate a cartoon character’s mouth automatically, until it moves in sync with the speech of the voice actor. Moreover, if you are unsure how to make tweaks in a photo, Sensei can sense your desires and suggest accordingly. The best part is that these suggestions are highly personalized at times, deriving from decisions made by people a user follows on Behance, Adobe’s social networking service, at similar junctures! With a deep comprehension of textures and curvatures, Sensei can adjust the shadows in an image automatically to reflect the backdrop lighting. Future manifestations of Sensei would undoubtedly permit rearranging and inserting objects while preserving the natural look. In the audio and voice sphere, Sensei’s experimental tool is empowered to synthesize the voice of any speaker, which allows artificial, albeit indistinguishable, edits to an earlier recording. A new Adobe app has also hit the beta testing sphere. The innovate platform Project Felix is designed to make 3D design approachable and accessible for everyone, even those without a background in 3D. The program merges 3D and 2D graphics to aid users in creating realistic graphics. This is where AI jumps in with auto horizon, auto-lighting, and other streamlined tools to simplify the process. Project Felix is also projected to incorporate real-time rendering and a free library of assets to use. A woman is knowingly looking into a camera and smiling as she typed something on her Mac. She has a satisfied expression on her face and a cup of steaming coffee is sitting on her table. She is a model for stock pictures, which you must have been bombarded with in all your designing career. 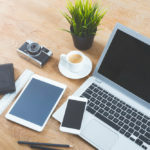 With the proliferation of websites and the ever-escalating competition, selecting images for a website can pose a great ordeal. On one hand, stock photos are just a cheap makeshift solution at best. On the other hand, you’re not actually allowed to use images owned by someone else. Designers seeking top-notch, professional looking shots can turn to Prisma, an app for turning any regular picture into a work of art. Leveraging state-of-the-art neural networks, Prisma transforms photos into drawings, emulating the styles of all-time famous artists. 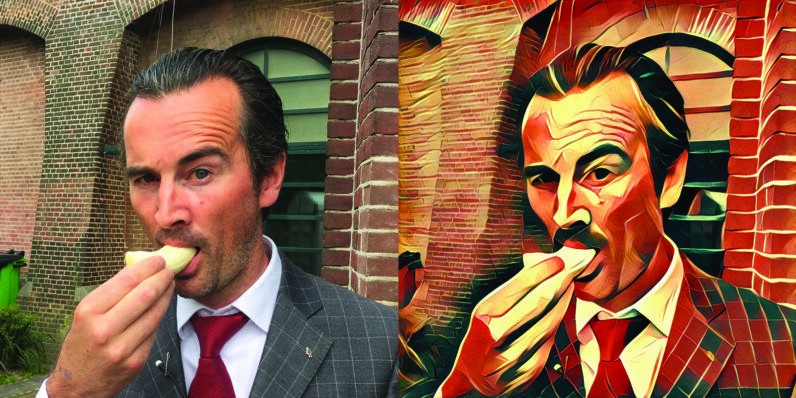 Capture the photograph of anything, from a slice of pizza to your office chair, select a style in Prisma (such as Munch, Picasso, Van Gosh), and the app adds different layers to your photograph. Designers can spruce up their imagery by adding these images to their website to enhance its aesthetic appeal! Mlvch is a commendable photo editor that repaints your photographs in the style of your favorite artists. Employing next generation neural networks, the machinations of Mlvch are similar to a human brain. Mlvch mixes in the style of your chosen artists in the contents of your photograph. Mlvch is named after the famous Ukrainian painter Malevich, and the mindboggling app has a lot in common with the painter. Kazimir Malevich’s paintings were characterized by the superimposing of different colors. Similarly, his contemporary namesake leverages the same principle of overlapping myriad layers onto one another, but with the help of neural networks, resulting in unique and beautiful pictures. Yandex.Launcher employs an algorithm to set up colors for app cards automatically, depending on app icons. It automatically sets up other variables as well, such as implementing parametric typography, highlighting eyes in a picture to accentuate emotions, and changing text color according to the background color! Andex. Market leverages a similar promotional image generator for their E-commerce product lists. 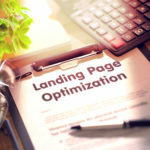 All marketers have to do is fill up a simple form with an image and a title, and the generator suggests an interminable number of variations, all conforming to standard design guidelines! This remarkable new technology would allow users to draw a figure once, and upon drawing a single line for the next frame, this awe-inspiring tool would suggest a skeleton to trace. The software also has a few clever tricks up its sleeves. For instance, upon adding detail or color to the first frame of the animation, the tool would supplicate it over the entire frame, or the software can sense when you begin filling in a pattern and then suggest more of the pattern. The most amazing part is the software’s ability to reshape its suggestions in real time as you draw. The software can accomplish all this without any complicated interface modalities such as keyframe markers or anchor points. With the help of image classification and image recognition AI programs, Google pioneered the drawing of unique pictures. They call their mind-bending experiment “inceptionism”. To put it in a nutshell, you input an image to this image classification program and type in a command, such as “find a rose and highlight it”. Even if the program fails to unearth your rose, the neural networks will tweak your picture a tad and mark it anyway. If you keep repeating this process, you will end up with a completely new picture. It makes us wonder whether neural networks could prove to be a handy tool for artists; an innovative way to remix visual concepts and shed some light on the roots of the creative process. Autodesk Dreamcatcher, software that can design optimized physical objects with genetic algorithms, also employs advanced algorithmic techniques to provide a more abstracted interface to designers for creation. Given sufficient goals, constraints, high-level direction, and a problem to solve, these tools are capable of churning out myriad variations a design in a heartbeat, leaving designers free to choose their favorites keep generating new designs until they attain a great design. A Dreamcatcher user begins by specifying fundamental requirements and constraints; for instance, a chair needs a platform raised a certain height off the floor so that it can better support a human load. The user specifies optimization goals, such as minimize 3D Printing time, maximize rigidity, and minimize weight. After the user hits start, the tool takes a solid mass that confirms to the constraints and whittles away. After every iterative shearing, the tool tests the designs against the user goals. The algorithm steers the design process according to the results picked up during the test. Is AI Capable Of Replacing Designers? When we mention web design, we are insinuating something more far-reaching and complicated than what the end-users see. When we liberate our design from the constraints of printed, static paper, the screen contextually alters the display depending on the feedback and environment. The task of a UX designer is to figure out how to get to that point of context. Defining and identifying the end users and their goals, in addition to the business goals of the clients, helps inform the final design. Unfortunately, it falls far out of the reach of an algorithm to work it out. We just aren’t there yet! 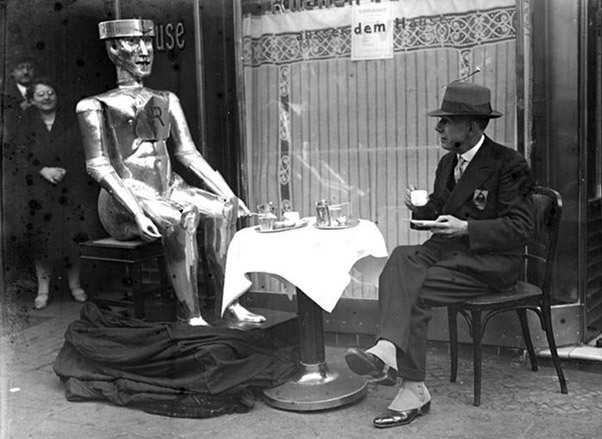 Technology hasn’t taught machines how to behave and think like real human beings successfully. Until we figure out the kinks in our machinations, we have to tackle the dirty work ourselves. After all, web designers thrive on these compromises, the complexity, and all the nuances that accompany tough dilemmas. Another problem with an AI-based websites is the limited control users have over its output. They resort to abdicating the major decisions for the system to make, believing it knows better, resulting in a website based on its own programming limitations and assumptions. In all fairness, all template-based services such as The Grid, have their hearts in the right place. They aspire to bid adieu to the not-so-fun aspects of web design that form an entry barrier for myriad companies and users. Even for designers, embracing even a single element of automation can allow them to allocate more time to creative solutions and bigger problems. Automation tools should be construed as an assistance, rather than a futuristic replacement. If an artificial system could learn about your distinctive sensibilities as a designer and learn from the data you have collected about users as well, you would indeed have a potent tool at your disposal. If anything, a consolidation of client-designer relationships will ensue upon further incorporation of robotics and AI into the internet realm, in terms of creativity and empathy. It will compel designers to keep coming up with creative interaction patterns and developers to keep innovating. While it’s undeniable that AI and robotics are steadily replacing many jobs and factory work in the service economy, only time can tell how it will affect the design industry. From what our past technological advances teach us, the growing pains are well worth it. very interesting point here you explain. well day by day AI increasing his space in internet world. but i don’t think so AI also take over design because design is special about human creativity and machine cant do this things.